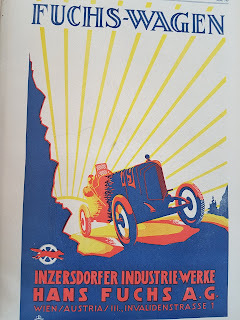 Not much is known about the Austrian car maker Inzersdorfer Industriewerke Hans Fuchs. 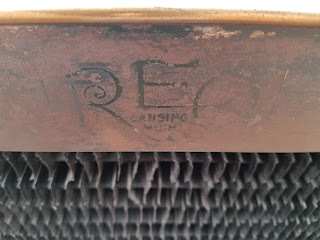 This company started producing car parts such as radiators, engines and bodies for other car maker in 1920. In 1922 Mr. Hans Fuchs decided to build his own car, called FUCHS ( German for FOX ). It was a small sports car which competed successfully in national events. Production ceased in 1925. May be 120 cars were built so the emblem is a very hard to find item. For more car and truck emblems see older posts or list of car makers ( top right ).